INDIANAPOLIS — Andrew Luck is Orlando-bound. The Indianapolis Colts quarterback, the National Football League announced today, has been selected as an alternate to play for the AFC team in the 2019 Pro Bowl, replacing Los Angeles Chargers quarterback Philip Rivers, who is unable to participate due to injury. This mark’s Luck’s fourth-career selection, and his first since being named to the NFL’s annual all-star game three straight years from 2012 through 2014. The 2019 NFL Pro Bowl kicks off at 3 p.m. ET Jan. 27, and is being played once again at Camping World Stadium in Orlando, Fla. Luck will be joining teammates Eric Ebron and Quenton Nelson on the AFC squad. 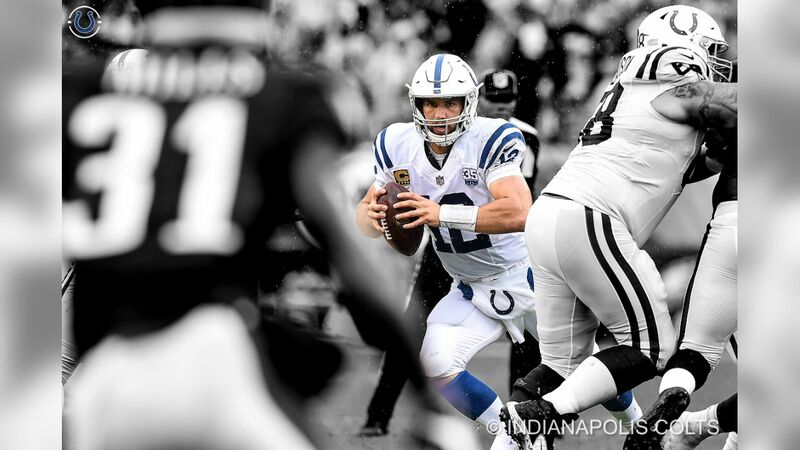 After missing the entire 2017 season as he worked his way back from shoulder surgery, Luck came back to turn in the best-overall season of his career in 2018, establishing career highs in pass completions (430), pass attempts (639), completion percentage (67.3) and passer rating (98.7).  In all, he threw for 4,593 yards with 39 touchdowns to 15 interceptions. Not surprisingly, Luck was among the league leaders in several statistical categories, including completions (second), attempts (second), passing yards (fifth), passing touchdowns (second) and first down throws (tied for third). Colts general manager Chris Ballard said Monday he knew it’d take a little time for Luck to get back into the groove after missing the 2017 season, but he never wavered in his belief that No. 12 would be back in top form for his team again in 2018 — and moving forward. From Weeks 4-12, he threw three or more touchdown passes in eight consecutive games, which was tied for the longest streak in team history and tied for the second-longest in NFL history. Dating back to the 2014 season through Week 13 in 2018, Luck threw at least one touchdown pass in 34 consecutive games, which ranked eighth in NFL history and second in team history. From Weeks 7-12, Luck registered a 100.0-plus passer rating in five consecutive games, which is the third-longest such streak in Colts history. In Week 4 against the Houston Texans, Luck eclipsed 20,000 career passing yards in his 74th career game, which tied for the second-fewest games to reach that mark in NFL history. Luck was named the AFC Offensive Player of the Month for November after completing 74-of-95 passes (77.9 percent) for 925 yards with nine touchdowns to three interceptions for a 125.7 passer rating, while leading the Colts to a 3-0 record over that span. He was also named the AFC Offensive Player of the Week for Week 11 following his standout performance in a win over the Tennessee Titans. Luck in 2018 also became one of only three quarterbacks in NFL history to throw a touchdown to 13 or more targets in a single season. Luck said, quite simply, he thought he just “threw the ball better” in 2018, thanks in large part to the help of a new head coach, Frank Reich, who is a former NFL quarterback, as well as a new offensive coordinator (Nick Sirianni) and position coach (Marcus Brady). And, obviously, being available to play always helps. “I think I learned to manage situations better,” Luck said. “I think in the odd sort of self-preservation of a quarterback that maybe that mentality – I think I did that better. I didn’t miss any practices during the season. I didn’t miss any games. I needed to prove that to myself that I could be durable.